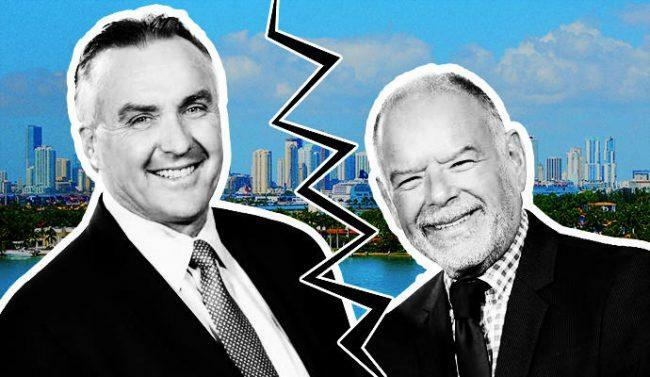 The ugly legal battle between the two founders of International Sales Group that sullied their partnership and threatened the Miami luxury brokerage’s existence has ended. Former business partners Craig Studnicky and Philip Spiegelman settled dueling lawsuits last month, after Spiegelman allegedly crashed ISG’s holiday party and accosted one of the firm’s brokers, according to court documents reviewed by The Real Deal. Spiegelman had sought court intervention in an attempt to dissolve ISG, while Studnicky counter-sued his ex-partner for failing to repay more than $1.8 million he lent the brokerage to keep it afloat. Studnicky’s lawyer Robert Stok said terms of the settlement are confidential, but that his client will control and manage ISG and Spiegelman gets the development rights to an $82 million mixed-use project in New Orleans the duo had announced in 2016. Spiegelman and his attorney Juan Martinez did not respond to phone messages and emails requesting comment. Spiegelman sat at a table eating and drinking by himself and then confronted ISG sales associate Lian Oteiza, who had given a deposition against him related to the lawsuits, the motion alleges. “Spiegelman grabbed Oteiza’s arm aggressively, yelled at her that she was fired and then shoved her when she attempted to evade his advances,” the motion states.